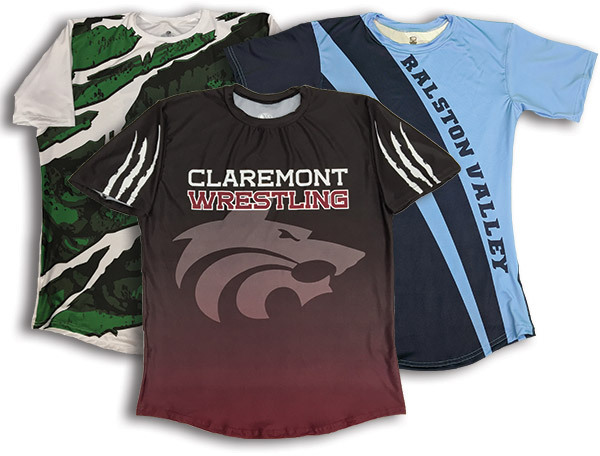 In line with NFHS regulations, OT Sports custom sublimated grapple caps are made to be functional and fierce. Our exclusive fit is designed to keep a competitor's hair from obstructing their vision during competition. Made of high-performance 4-way stretch lycra that wicks moisture for max comfort. Full sublimated design. One size. Ideal for pre-game warmups, practices, travel and fan gear. Made of high-end performance stretch mock material with moisture management technology. Guaranteed great fit and vibrancy for the full life of the shirt. Mid-light performance fabric and athletic cut for maximum mobility while maintaining warmth and comfort. Full custom design -- even inside the hood! Youth sizes XS-XL. Adult sizes S-3XL. Full sublimated artwork to match uniform design. Measures approx. 13.5 x 17.5 in. flat.